I’ve read a LOT of books on running. I’m a bit of a nerd and when I get interested in a subject, I try to read everything I can about it. Some of the books I read were more helpful than others, so I wanted to compile a list of my favorites, especially for those of you who are thinking of making holiday gift lists soon. Daniels’ Running Formula. For serious runners, this book is a must have. It has a lot of great information about the theory behind training and will help you understand your running at a completely new level. Runner’s World Big Book of Marathon and Half-Marathon Training. This book has a lot of great tips for training for longer races as well as a few good training plans. I’d recommend this one for anyone who’s moving up to the 13.1 or 26.2 distance and needs more information about training for runners new to the distance. Galloway’s Book on Running. This is a great book for anyone looking to train using a run-walk method, which Galloway highly advocates. You’ll also get great information on running in general, as well as training plans for multiple distances. Running for Mortals. 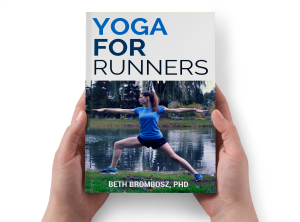 If you want to start running but are too overwhelmed to start, this is a great book for you. 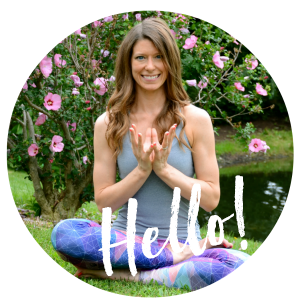 John and Jenny Bingham talk about their own struggles to start running and give you great tips to get on the road and start your journey as a runner. Mile Markers. If you’re looking for more of a feel-good book than cold, hard facts about running, this is a wonderful read. Kristin Armstrong tells heartfelt stories that will make you want to keep running. Runners: What are your favorite books about running? I normally prefer fiction (I’m currently reading The Sea Came In At Midnight and Underworld….I like pretty weird books) but I also devour books about running. I recently read Eat and Run by Scott Jurek and I really loved it, I would recommend it to anyone getting into trail/ultra running. Also Hal Koerner’s Field Guild to Ultrarunning. My favorite book about running is Born to Run by Christopher McDougall. But I don’t read a lot of books on running…I read a lot of fiction! I just finished Lisette’s List by Susan Vreeland. It was really good! I love a book called Going Long. It’s a collection of running stories runners world put out a few years ago. So motivating!! !